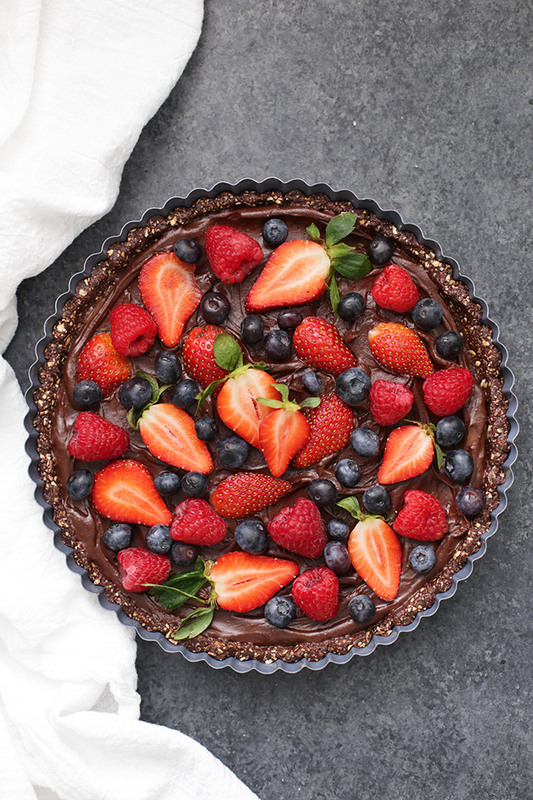 No Bake Chocolate Berry Tart – This gluten free vegan chocolate tart tastes so fresh and luscious. It’s gluten free, dairy free, refined sugar free, and really makes a statement. The belle of the ball at any dinner or party! This really might be the prettiest thing I’ve ever made or photographed on my blog. Fresh berries are like that. Honestly, I think they make everything look lovelier! 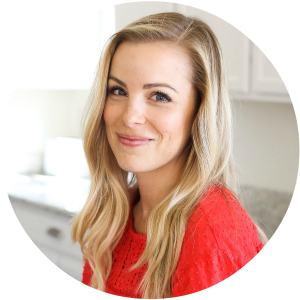 As part of my heart-healthy dessert week, I’ve been highlighting the heart-healthy ingredients in each recipe. This one has several! 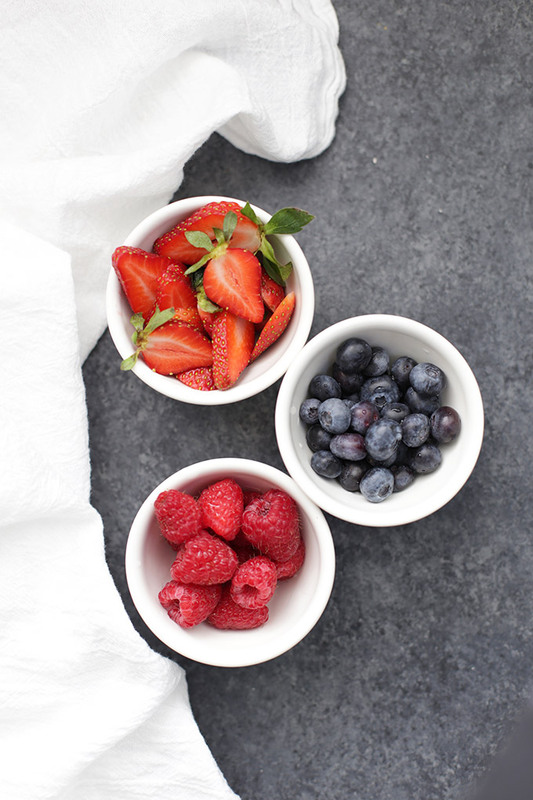 Berries – Berries are a nutrient powerhouse. They’re loaded with antioxidants, fiber, vitamin C and more. Oats – Oatmeal is a great whole grain that the American Heart Association recommends for it’s high concentration of soluble fiber and contributing to lower cholesterol. If you are GF like us, I stock up on these in bulk! Cacao – Cacao and chocolate (especially when not overloaded with sugar) can be part of a healthful diet because of its antioxidant properties. Raw cacao powder or unsweetened cocoa powder and added it to both the crust and the chocolate filling. It’s AMAZING. In addition, I used coconut oil for some healthy fats, and skipped refined sugar in favor of pure maple syrup. 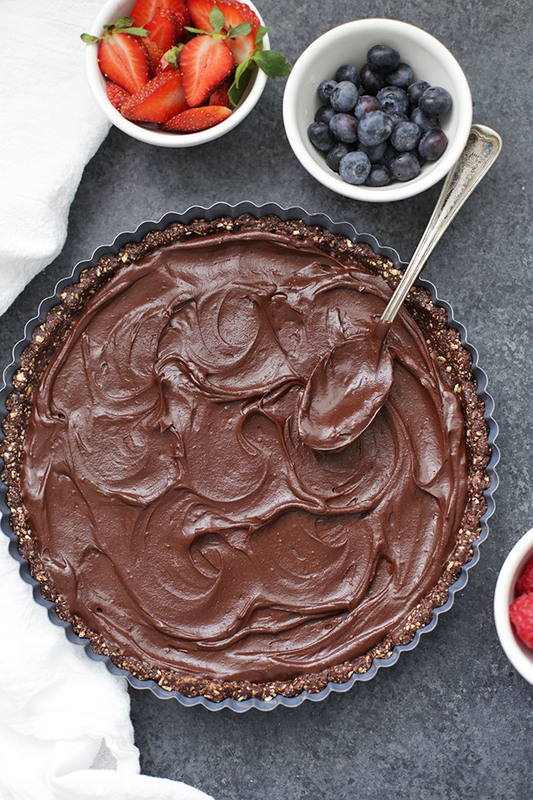 Even with mindfully chosen healthy ingredients, this tart has all the lovely flavor of something rich and decadent. We absolutely LOVE it. Let’s talk milk. You can use any kind of milk for this recipe. We’re dairy free, so I choose coconut milk for it’s richness, but you can also sub cashew, almond, dairy milk, etc. Know that a lighter milk (like soy, almond, or cashew) will make the filling slightly less creamy. How long will this keep? Just a few days, unfortunately, since the fresh berries will start to deteriorate if you’ve kept them ON the tart. 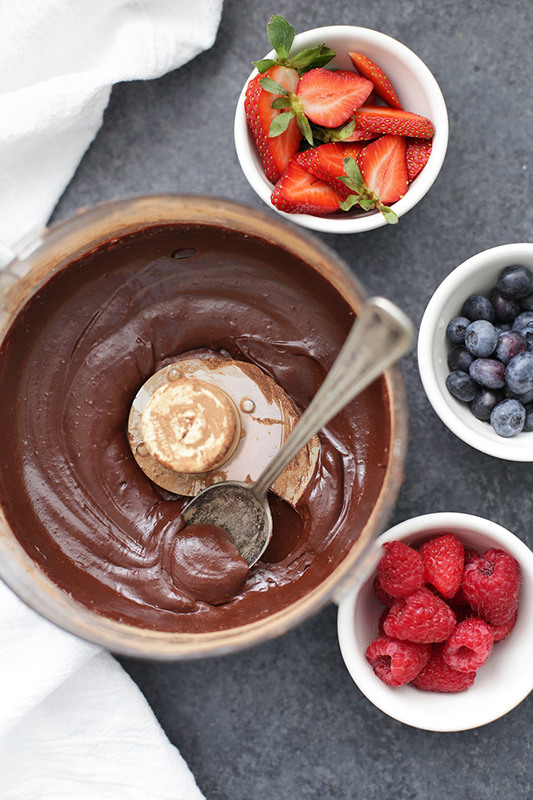 If you want to make it ahead of time, simply wash and add the berries right before serving. The rest of the tart (crust and chocolate filing) will keep well covered in the refrigerator up to 4-5 days, or the freezer up to 2-3 weeks. 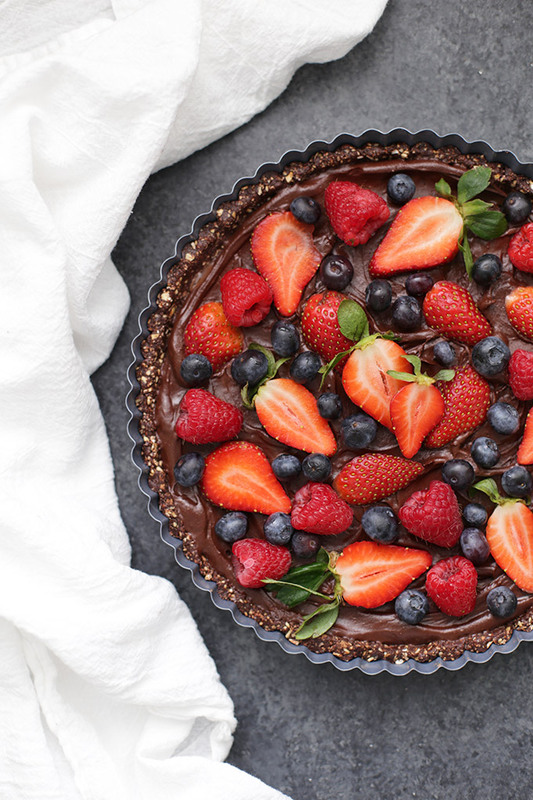 You can thaw the pre-made tart and top it with berries right before serving. Tart Pans. Tart pans are admittedly a fairly specialty piece of equipment. I use this one, but you can also make this in a 9-inch springform pan, or make mini tarts in a silicone muffin pan (we have this one) that you can just pop right out. Put the oats in a food processor and pulse to break up a bit. Add cocoa powder, syrup, coconut oil, and salt. Process until mixture forms a ball and comes together. Transfer dough to a tart pan and pat out using fingers or the bottom of a cup until crust is spread evenly. Refrigerate while you make the filling. Place all ingredients in a food processor (or blender, or you can do this by hand) and puree or pulse until well combined and there are no lumps remaining. Spread filling over the crust and smooth out with a spatula or knife. If serving within a few (4-5) hours, place the berries on top of the chocolate filling in any design you like, and chill for at least 30-40 minutes in the refrigerator to allow filling and crust to set. Store tart in the refrigerator until ready to serve. If you are making this ahead of time (more than 4-5 hours before eating), refrigerate the tart (crust and filling). When ready to serve, top with berries. Store tart in the refrigerator. 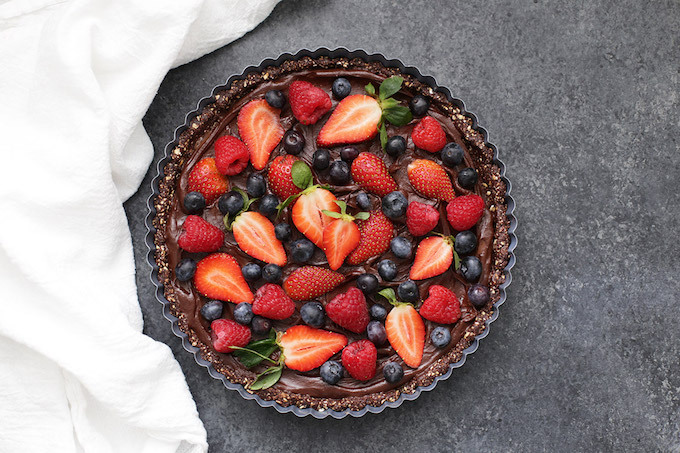 If you are making this far in advance, you can make and freeze the tart without the berry topping and store in the freezer in an airtight bag up to 2-3 weeks. Thaw in the refrigerator before adding berries and serving. Just made this and it was delicious! Thank you for the healthy and yummy recipes!!! Does it matter if the coconut oil is solid or liquid? I just made the filling but it wasn’t creamy like yours after blending in the food processeor. My coconut oil was completely liquid bc it’s hot out in my house. Once it refrigerates, I’m hoping it gets thicker! Hmm…I would think the fridge would set it right up. I’d love to know how it turns out! I saw this recipe on Sprouts website, but the cocoa powder for the filling was omitted. I came here to see how much was needed… It looks delicious. Oh no! I’ll try to let them know so they can fix it. Thanks for letting me know! This look amazing! Have you ever done this with a larger tart pan? I am looking to serve a crowd. if so, how have you altered the recipe? Joyce – I haven’t ever made it larger, but totally think it would work if you double or triple the recipe. What size pan are you thinking to work with? I’d love to help! Karen – I’m not sure… the crust could probably work if you added some dates or something to help it stick together (the coconut oil acts as a binder), but the filling partially sets up because of the oil. If you skip the oil, it’ll be more like ganache than a creamy filling and may not set up entirely as the oil gives it some of it’s structure. If you do give it a successful try with your own modifications, I’d love to know how it turns out! I’m sure there are others out there who’d love to try it your way! Hi! Not a fan of coconut oil. Could I use vegan butter or another oil instead? (which do you think would work best?) Thanks! Plan to make this for Valentines day! Sharon – Vegan butter would be my top substitute suggestion if you’re staying dairy free! Do you think frozen berries could be used? Do you use the canned coconut milk or the boxed version? The kitchen and I are usually not on good terms lol but decided to try and make it anyway and wow it tastes amazing! My family couldn’t believe I made something so delicious! Jessica – Oh, this made my day! I’m SO glad you guys enjoyed it! My whole family just gobbles it right up! I couldn’t wait to make this! I followed your recipe exactly but my filling didn’t come out thick it was runny. It’s been in the freezer for an hour and still not set, so disappointed. I just can’t figure out what did wrong. Oh dear! I’m so sorry to hear that. I wonder what went wrong? What is used to thicken this filling? There isn’t any thickener so does it rely on the congealed coconut oil and canned coconut milk? Just need to know before I get started! Sounds yummy….especially the healthy crust. Oh my goodness! That’s so wonderful to hear! I’m so glad you enjoyed it!